Welcome to Rosalind Cook . . .
my sculptures and my person. I specialize in figurative bronze sculptures that are representational in style. My work is an extension of who I am: my experiences, my personality and my faith. My statues are most noted for their faces as I strive to capture the inner spirit of my subjects and bring that forth. That spirit is also expressed through composition and design. The real joy comes in creating images that communicate to the viewer on a personal level. To that end, the true purpose of my work is to celebrate life and to lift the human spirit. As you visit my Web site you will be able to see both small works and large works in thumbnail size. By clicking on the small picture you will see a full screen view of that sculpture and often additional views. You will also discover more about the artist, my background and training. Should you be interested in a specific bronze you will find a price reference and can contact the artist with comments or inquiries. I hope you enjoy your journey with me. A book of Rosalind’s works and her story are available for order on this website. Because Rosalind strongly believes in the many benefits of art education for youth, Rosalind has a foundation that annually awards public school art teachers monies to buy art supplies or begin a new artistic venture in their classrooms. This foundation is distributed through Tulsa Community Foundation. 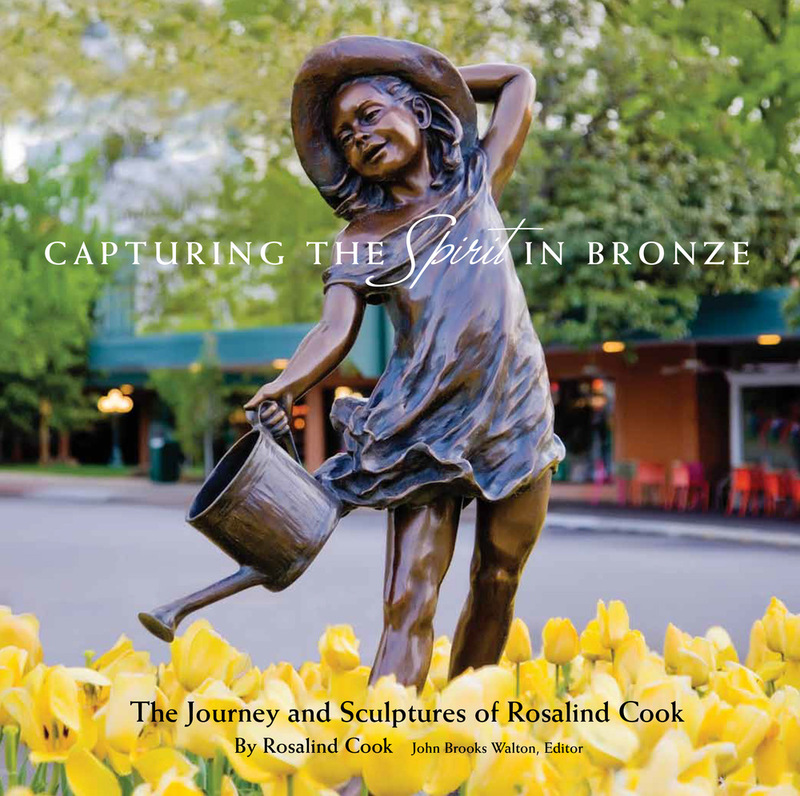 Rosalind’s book, Capturing the Spirit in Bronze, is now available!